Dr. VIGIL’S Paediatric Rehabilitation aims to help and treat children and young people with physical problems to make them independent for their functional activities as well as to provide support to their families and care givers. 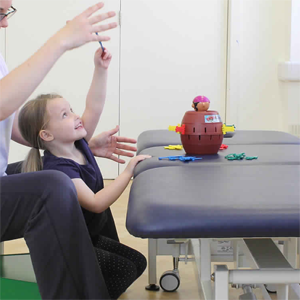 Physiotherapists treat every patients who have difficulty with movement and treat short and long-term conditions that can affect their physical development, activity and their ability to participate in playing, learning and socialising with world around. After taking a thorough assessment, physiotherapy programmes are then devised in collaboration with both the child/young person and their family/caregiver. Treatment is divided into simple everyday activities. Advice and training are provided so that the family can help and encourage the child to practice their exercises properly and on time. We work with the child/young person, their family and Health and Educations colleagues to encourage each child to get the most out of their lives and fully develop their potential, from birth to the time they, transition to adult services. Nothing is as exciting, challenging and enriching as working with children. Physiotherapists entering this field of paediatrics will be required to have great knowledge of the techniques that they have learned in relationship to adults to the ever changing needs of the growing child. 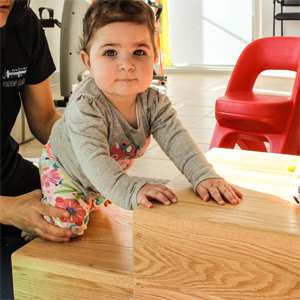 The physiotherapist will have opportunity to work with the child in a range of situations extending into home, preschool groups, education and leisure activities. The physiotherapist may work with many other disciplines including medical, nursing, social work, educational and care staff, psychological and psychiatric teams as well as speech and occupational therapists to meet the overall needs of the child. The physiotherapist must be able to communicate his/her observations, assessments and treatment plans to the child, his parents and other members of the team efficiently. We at Dr. Vigil’s advanced physiotherapy always make it a point to remain updated with physiotherapy skills and have a clear understanding of the development process of the childhood, primitive reflex patterns and paediatric illness and disability. We have to keep in mind that in childhood disability we have to deal with a child and family with a disability. Disability is defined as state of body or mind which jeopardizes full functioning throughout a significant development stage or the remainder of that person’s life. Defect: a structural or physiological abnormality. Disability: a lack or impairment of a particular capability or skill. Handicap: a condition or set of conditions that hinder or prevent the pursuit or achievement of desired goals. Congenital Conditions: These are conditions that are present at birth. It would however be misleading to imply that all congenital conditions present themselves at birth. Some are clearly apparent, e.g Down syndrome, talipes, and major cardiac defects. Others do not reveal themselves immediately but only become apparent as the infant or child matures, e.g muscular dystrophy, neurofibromatosis, most cerebral palsy and many hearing and sight defects. This group includes intra uterine infections the outcome of which may or may not be apparent at birth, e.g cytomegalovirus, rubella and toxoplasma. Some conditions are genetically linked, e.g muscular dystrophy, and may occur in several children within the family. Acquired conditions: These are conditions that are acquired as a result of for example: Illness- encephalitis, meningitis, juvenile chronic arthritis, dermato-myositis, neoplasm, malnutrition, poliomyelitis, etc. trauma- head injury, child abuse, and road traffic or playground accidents. The importance of play activities cannot be overstated. It is a vessel through which child regains skill lost as result of illness or injury. In pediatric physiotherapy arm exercises may be combined with ball works or drawing pictures on a large sheet of paper on the wall. Leg exercises may be combined with touching well placed objects with the toes. Any exercise may be reinforced by using an action song. Standing may be encouraged by placing an attractive activity on suitable height surface. Movement may be encouraged by fetching and carrying games, e.g shopping. Obstacle course provide endless possibilities for the therapist and fun for the child. The child should not be allowed to become bored. The therapist should try to keep activities simple and have a selection to choose from and if the first one fails or fades out quickly. Children are matured enough to enable themselves to co-operate more actively in their pediatric physiotherapy treatment because they have sufficient body and spatial awareness to be able to carry out simply explained exercises and activities. The therapist plans a number of short activities lasting 5 to 10 minutes. She will allow time for play as a reward between or after therapeutic activities. She should always explain to the child what is expected of him. Parents who are not present during pediatric physiotherapy treatment need to be kept informed about their child’s treatment, his progress and any treatment that should be continued at home.